Hellllooo there! My name is Odis. I would love, love, love to meet you! I’m quite the busy guy. I love to go for walks, sniff around the yard, and chase a ball. But mostly, I just want to hang out with my person. And right now, that’s the people here at the shelter. They’re nice people, but I really want a home of my own. I want someone who can give me belly rubs, take me for walks, then snuggle on the sofa. If you can do that, I’ll be your best friend forever. 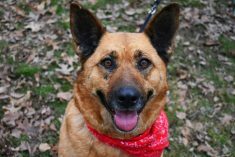 So, apply for me today and let’s see if we’re a match made in doggie heaven! 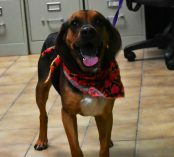 Odis is a male Beagle/Bloodhound mix, approximately 3 years old, up-to-date on vaccines, de-wormed, SNAP 4Dx tested, -x4, neutered and microchipped. 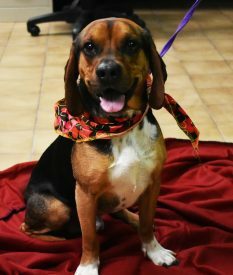 If you think Odis is the one for you, please fill out an application in person, or on our website at lawrencecountyhumane.com. 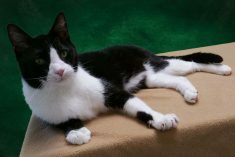 Odis can’t wait to meet you!